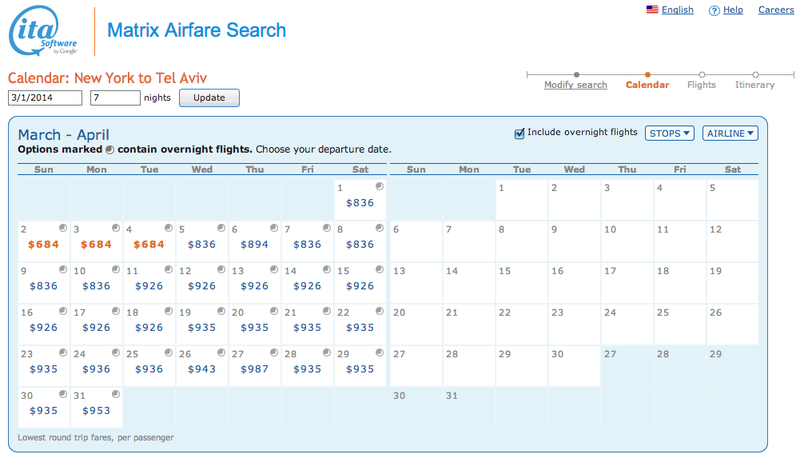 HOT DEAL: JFK to TLV for $684 Round Trip in Jan-Mar 2014! 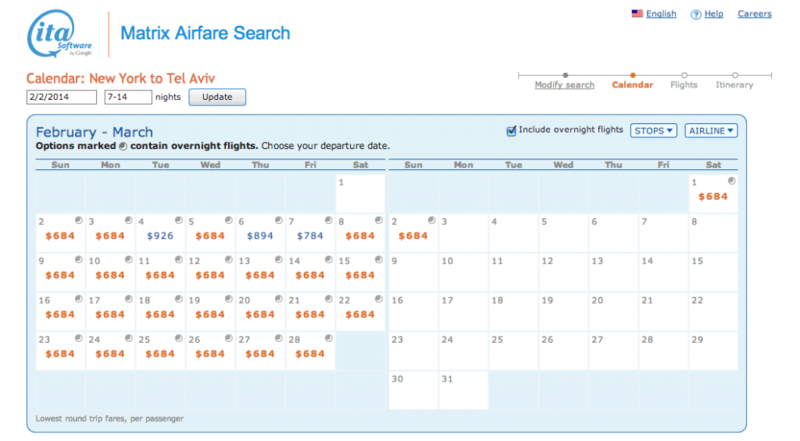 We found fares going from JFK to Israel from mid January 2014 through the beginning of March 2014 for $684 round trip via Turkish Airlines with a stop-over in Istanbul (IST). Maybe people ask about the safety of flying via Turkey on this airline. Turkish Air is a perfectly safe airline and thousands of religious Jews have taken these flights with nary an issue. They are also a top notch airline that still gives 2 free bags per flyer (this is becoming rarer and raer) and they have a great Star Alliance lounge at IST for your stopover. Stopover lengths range from 75 minutes to around 7 hours. You’ll need to navigate your options when booking. 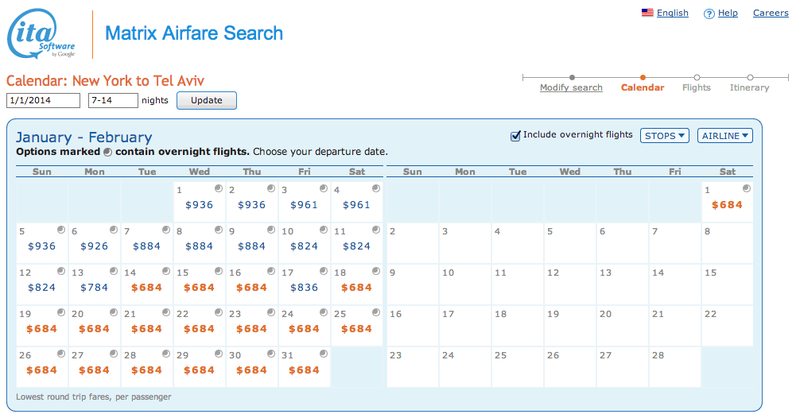 As always, use ITA Matrix software to find the best flight prices. If it’s not bookable on one site, it’s often bookable on another. Trial and error. Free WiFi in Tel Aviv = Happy Tourists!